Look around the hockey world. Pundits are singing the praises of Buffalo Sabres prospect ranks, with many calling it the "deepest" and "best" of any system in the entire NHL. February trade partner Winnipeg may have something to say about that, but no reason to digress. It's a solid group. Let's face it - praise will come in spades when a team restocks its cupboards with a stunning nine first and second round picks over a two-year period. If the current batch has yet to tickle your fancy, perhaps the club will win you over when they use some of the four top-60 selections currently held for 2015. Caution always comes with optimism, and the group is still challenged with some minor shortcomings despite the recent haul. And while many key offensive prospects had moderate offensive years, most of the trepidation actually comes as you get away from the forwards. The Sabres have two 20U defensemen on their NHL roster and another promising duo in Rochester, but the pipeline runs dry from there. Size and mobility are in place, but the pipeline is still missing an electrifying puck mover who can rack up points with the man advantage. If Tim Murray hinted at interest in another quality rearguard near the top of the 2014 draft (presumably Haydn Fleury), yet didn't add one until the third round, one would think they'd be looking to shore up the back end in 2015. Yes, the team flipped Tyler Myers for Zach Bogosian, but those second-round picks, if not moved in draft day deals, could come in handy in an attempt to round out the corps. We don't know what will happen moving forward, but names like Jakob Chychrun (Sarnia) and Sean Day (Mississauga) could be fun to watch if the Sabres again find themselves in the 2016 draft lottery. There are signs of promise between the pipes, but for now, the depth chart falls just short of having a legit, undisputed blue-chip backstop. Strength in numbers is the name of the game as six 23U netminders cut their teeth at various levels. An early mix of injuries and inconsistency prevented any of them from asserting themselves as a clear cut pack leader, but a late-season surge has seen a new face emerge. We're at the point with goalies where you're tempted to simplify things. We tend to over-analyze a goalie's vision, tracking skills and overall positional IQ, and over-hope that one will catch fire and not look back. Just find me a big guy who battles hard and wins games. This isn't to say that the Sabres don't have any that fit the bill, but I'm always ready to obtain a high-end "X factor" if we agree that excellence in net can help nullify team-based analytics. A high-end target could be available in the second round of the 2015 draft that could make excellent sense for the Sabres to pursue while the current crop jockeys for position in the system. In terms of greatest area of need, it's pretty clear that some natural scoring pop at left-wing is necessary for a more comfortable balance in the pipeline. Still, the team is most loaded up front. A high-level view suggests that Sam Reinhart, Mikhail Grigorenko, Connor Hurley and Eric Cornel represent vision and playmaking skills. Justin Bailey's confidence is blossoming as a determined scorer, while a talented cast of interchangeable parts actually serves as the group's core. NHL All-Star Zemgus Girgensons is the poster child for the versatile group. Put him anywhere in the lineup, and the output will be the same. You can say similar things about J.T. Compher, Hudson Fasching, Nicholas Baptiste, Johan Larsson and William Carrier. All can grind out shifts in various roles, and they can all pressure the net, with some possessing better hands than others. All the while, players like Sean Malone and Vaclav Karabacek are developing wild cards, albeit with different looks to their games. Quality prospects remain despite the bloodletting that saw Joel Armia (RW) and Brendan Lemieux (LW) exit the system as part of the return for Evander Kane and Bogosian, but the team would surely like to add more high-end offensive flair to the mix. That will be a done deal if the Sabres lock up a top-two pick at the 2015 draft. It's also worth noting that the November free agent signing of defensive stalwart Jean Dupuy and trade deadline arrival of Jack Nevins added to the club's organizational toughness. There are edgy elements in the aforementioned group, but it's always good to insulate the stable with team-first workers who don't mind a trip to the box at the expense of making a point. The rankings are not a list of who is closest to playing in the NHL, nor is an order of who had the best season. We keep the longview in mind, with the list first compiled by analyzing the players' skill sets and grading their max potential, then completed by slotting them up or down based on their overall likelihood to achieve. This is the fairest way to assess a group of players ranging from 18-23 years of age. Prepare for some major changes at the top of the list once we get a few weeks into the 2015-16 season. 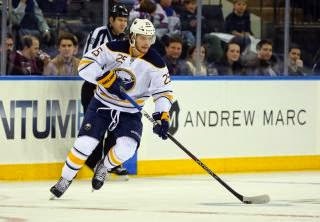 Mark Pysyk has played exactly 70 NHL games over the course of his three-year career so he is technically graduated, but we're keeping him on the list for now due to the unique nature of his situation. Once the 2015-16 campaign kicks off, he's getting kicked off. With 70 NHL games being the drop-off line for forwards and defensemen, three more top-10 prospects could fall off the list as early as the first week of the season as Larsson, Grigorenko and Zadorov are all approaching the benchmark. Every successful team has a rangy all-situations workhorse in the stable. Rasmus Ristolainen is the Sabres' version of that elite world class defenseman. This is Ristolainen's final appearance on this website, so we bid him adieu and look forward to watching him blossom into a perennial NHL All-Star. Tim Schaller has a legitimate shot at becoming a regular NHL character player and shutdown defensive forward. He’s a speedy, determined checker who can take the puck to the net, win draws and kill penalties, and at 24 years of age, we say goodbye. Phil Varone has shown an ability to plug big league minutes with some inspiring efforts, but his career path may eventually see him play a key organization role developing Buffalo's next wave of scorers on the farm. It would be wise for the Sabres to keep Varone well compensated on the lower end of a two-way deal if the vet is agreeable to that role. Cool and calm at both ends of the rink, Reinhart has the mental tools and puck skills that will see him be a steady, two-way force down the middle at the NHL level. Reinhart continues to lead by example in the junior ranks, making the little defensive plays to start the transition game while being unselfish in elevating the production of wingmen Tim Bozon (MTL), Jaedon Descheneau (STL), and Levi Cable. When not being a primary creator, Reinhart finds seams and soft spots to finish plays. The ICE started the year 3-13, but went 14-1 immediately after getting their captain back to shoot into a playoff spot. 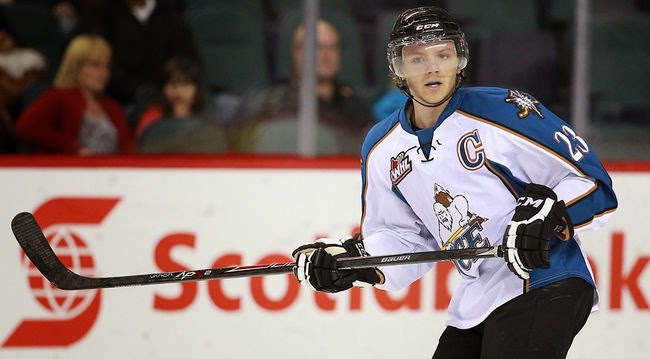 To accent his steady dominance, Reinhart was a commanding presence at the 2015 IIHF World Junior Championship with face-off proficiency, strong defensive support including solid minutes on the penalty kill, and yes, 11 points (5+6) to tie for the tournament lead as Canada won gold. International success at the U20 level doesn't guarantee NHL stardom, but the sparkling performance with the pressure of the hometown fans (Canada last won gold in 2009) proved that he can step up as a prime time player. Reinhart's detractors say he doesn't provide highlight-reel scoring plays. Many are discouraged that his production rate is down as a 19-year old. When you watch his games, though, you see a guy logging 30 minutes a night with a target on his back, making smart plays in all situations all over ice on virtually every shift. Understanding the situation and adapting is a mental skill. Throwing a puck into open space to allow a teammate to skate into it shows great sense. This kid does these things. With that said, there is no reason to change the long-range projection following Reinhart's nine-game NHL learning session. His ability to think the game is elite for his age group. His hand-eye coordination is excellent. His vision and anticipation are superb. The next stages of strength development should see Reinhart become tougher to knock off the puck, but it'll be a work in progress over the balance of his first contract as all signs point to Reinhart cracking the NHL roster full time next season as a 20-year-old. The only question remaining is whether he's a competent first-line middle or a very competent second-line anchor. We lean towards the latter while projecting bonus value on the first unit power play. However it shakes out, it's clear that Reinhart oozes value due to his overall influence much how Bruins' glue guy Patrice Bergeron functions nightly. Bergeron, of course, isn't particularly flashy either. After two seasons of bouncing between Buffalo and the QMJHL, a bigger, stronger, and more confident Grigorenko logged an encouraging NHL preseason before finally landing in the AHL for the next stages of his development. The full-time farm gig brought traces of promise, including some chemistry with winger Joel Armia before the Finn's trade to Winnipeg, and while his all-around effort has been better, he's not out of the woods just yet. He simply needs to dial in a consistent effort shift-to-shift, game-to-game to make it all come together for full-time NHL accountability. Grigorenko creates with excellent hands and vision. He has an ability to slow the play down, and he's started to shoot the puck more. You want more use of his size to bring his game between the dots, as he still has a tendency to hang high in the zone, but overall he's a good looking catalyst with the puck, and he's showing signs of maturity by responding to coaching with better defensive awareness. Making tweaks like releasing quicker shots will only make him a more effective player. Questions remain about his acceleration and speed. Good feet and overall quickness are vital to centering a scoring line at the NHL level, and as of now Grigorenko remains classified as average at best. Sliding him to left wing could lessen the two-way exposure, but can he regularly lean on guys and show the willingness to win loose puck battles on the wall? Will he fight through checks? Would the Sabres even consider a possible experiment? Regardless of where he's at with his skating, the fact is that he gets to where to where he needs to be. He's a 20-year-old prospect showing progression and an increased understanding of the NHL game. It's fair to think that a kid, who has always been "the man" at every level, needs time to adapt to a different role. We need to take this into consideration as many seem inclined to him hold him to higher developmental standard than the rest of the prospects. Grigorenko may lack ideal intensity and physicality, but he has the skill to make it work. Sometimes it's worth a reminder that he can't legally order himself a beer yet. Often times patience pays off. The Sabres may just need to give him a little more time to become a more valuable commodity. A budding tower of power on the back end, Zadorov is maturing on the fly. Peaks and valleys are part of the territory when learning the NHL game as a 19-year-old, but once the mind catches up with the body, the Sabres are going to have themselves a solid top-four defender who can hit hard and carry the puck deep as needed. Zadorov worked his way into the Sabres' lineup in November and immediately made the team more competitive. He smacked into the rookie wall from there, making some mental miscues on the ice and a few "rookie errors" off it. Both offer lessons in accountability, so we chalk it up to casual youth with hope that the light stays on. Mistakes will be made as he cuts his teeth in the world's best league. He needs to adapt to the speed and demonstrate better timing with his cross-ice passing game. He'll want to limit instances of leaving the back door open as he follows his check high into the zone. He'll want to keep his feet moving so doesn't get caught flat-footed. These things are fixed with reps and patience, and the expectation is that the growth will happen quickly. It's easy to see the big Russian as a stay-at-home rock with his reach and physicality, but he has the tools to abandon the shutdown post and use his strength and big shot in the offensive zone as well. The element of shutdown toughness in a top-pair defender has been rare for the Sabres of late. Zadorov has what it takes, so it's all about focus and intensity moving forward. The way you practice is the way you play. Just as he was lauded in his draft year, Pysyk’s mobility and three-zone smarts continue to be his defining characteristics. He’s great with his stick defensively, smooth and efficient when skating the puck, he's a very consistent and accurate passer. Physicality will never be his thing, but there will always be room for a steady, disciplined middle-pair defender, especially with his selective ability to jump up into the play and overall air-tight execution. Two years ago it seemed to be a slam dunk that Pysyk, a player who has shown well in every one of his recalls, would be an NHL regular by now. While he has yet to stick for reasons outside of his control, it's safe to assume that the extra farm work will benefit him in the long run. His second contract will kick in for the 2015-16 season, and the expectation is that he'll occupy a full-time role. The only hurdle left to cross before graduating is health related, as Pysyk was shut down after a scary February collapse landed him in the hospital. Pending a clean bill, the Edmonton native will add quality right-hand depth behind Rasmus Ristolainen. Two years removed from being described as a "skilled warrior" on draft day, McCabe's physical, two-way style offers a borderline No. 4/5 NHL ceiling following additional AHL seasoning. Early pro returns have seen McCabe battle hard while showing an ability to circulate the puck. He has a keen sense to jump into the high slot to pump shots at the net, and he's confident when following the play deep. On top of it all, McCabe isn't shy when meeting the rush to stop wingers dead in their tracks. He continues to show the diligent defensive footwork that made him successful in Madison, using his low center of gravity to battle for pucks and hold his ground down low. McCabe has also shown to be a willing combatant when the time is right. Getting a full-time adjustment to the pro game will see a player experience peaks and valleys, and while McCabe has certainly experienced both ends of that in his rookie year, there's little to worry about in terms of his long-range potential to become a reliable leader with plus value on special teams. A big, hard-working body who thrives along the boards and lives at the edge of the crease, Fasching's rise on the depth chart coincides with him becoming more explosive with his skating stride. He's physically strong with a long reach, making him an ideal component for a puck possession system. Fasching's frame gets put to good use all over the ice. He works to block shots defensively, create neutral zone turnovers, control the puck on the cycle and the bull his way to tip pucks at the goal mouth. He's shows maturity by making soft dump-ins at the right time. He's plays the right side, but makes a lot of plays from the left half. And while his name sounds like he drives a Bentley, Fasching has the tools to hit like a truck. If there's one thing you want to see more of from him, it's less peeling off hits and more use of a killer instinct to punish defenders beneath the goal line. The powerful winger regularly makes things happen while getting plenty of big game experience on Minnesota's top scoring line, often centered by Chad Rau (FLA), and he's been able to mix in an international flavor with back-to-back appearances with Team USA at the World Junior Championship. 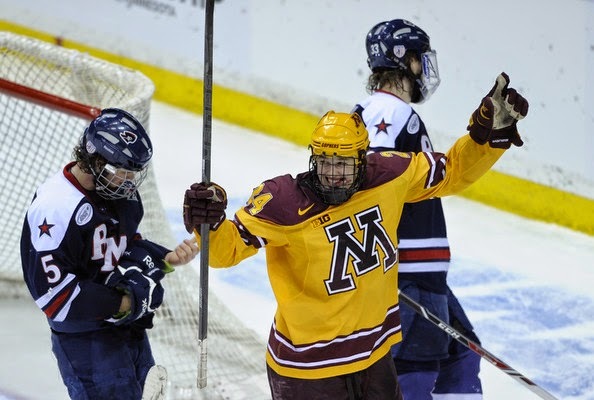 Dubbed "Thor" by his teammates, Fasching looks like a safe bet to bring a hard-working attitude in a productive middle line role once his Gopher days are done. A spirited competitor who takes away time and space, Compher is perhaps the hardest working forward in the pipeline. He's one of these guys who flies about the ice blocking shots and bumping bodies to compete for loose pucks, all the while providing timely offense with a combination of vision and net crashing skills. Sure, he led Michigan in scoring as a freshman in 2013-14, and while he didn't exactly elevate his production in year two of his commitment, Compher remains a very effective player even when not piling up the points thanks to his aggressive two-way style and tenacity on the penalty kill. He leads by example and holds his teammates accountable. Equally competent as a right winger or centerman, Compher began the year spearheading a line with Boo Nieves (NYR) and fellow sophomore Max Shuart, and later slid to the boards with Andrew Copp (WPG) and Alec Kile. That same versatility helped him land a key role on Team USA for the 2015 World Junior Championship. He'll likely spend one more year at Michigan before hitting the pros, but it should be a fairly quick ascendance through the system when he does make the jump. A smart, pesky worker with strong north-south offensive instincts, Larsson produces with patience, awareness and sharp decision-making skills. There are bigger, faster forwards in Larsson's prospect tier, but his grit along the boards, own zone support and willingness to go to the high traffic areas keep him in the mix as bona fide NHL prospect. Arriving as a leaner figure for 2014 training camp has keyed Larsson's recent success, but despite making great progress in a late-season call to Buffalo, his future NHL role remains undefined. Does he have enough three-zone consistency to evolve into a competent third-line centerman on a contending NHL team? He can generate powerful bursts to make simple plays in space, and he's not afraid to get his hands dirty, but does he have enough club in the bag to lock it down full-time on a scoring line? It's clear he makes an impact all over the ice, so it may be a matter of finding chemistry with a set of wingers to see where this goes. We simply need to say him play more to get a grip on his true potential. Larsson turns 23 in July, and you have to think that the late-season roll will make for a more confident player come 2015 training camp. The offensive flashes are there. He's put together some solid shifts without the puck to earn deeper minutes. Now you want to see it carry over into an every day thing to launch him into the meat of his North American career. With great acceleration, hard net drives and a willingness to initiate contact, Baptiste has the right mind set to succeed at the NHL level. Another well-rounded threat, Baptiste is engaged defensively and can burn you off the rush with excellent one-on-one moves or a very quick wrist shot. Much is made about the 45 goals he scored with Sudbury in 2013-14, but his up-tempo play away from the puck has grown to the point where he'll have value in various roles throughout the lineup ones he transfers to the pro level. The opening half of Baptiste's final junior season was an emotional ride. 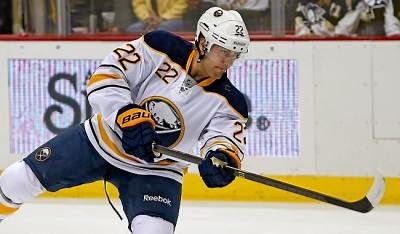 He missed Sabres training camp and the first dozen games of the OHL season while recovering from a shoulder injury. Shortly after returning to action, he was traded to Erie where he found chemistry with highly regarded 2015 draft prospect Dylan Strome, but then another letdown came in December with a disappointing exit from Team Canada's World Junior camp. The motivated winger settled in from there, moving about the Otters lineup from first to third-line minutes, to ultimately hit the 30-goal mark for the second straight season. Baptiste's game isn't the prettiest, but he has all the tools to carve out an NHL role pending some quality time on the farm. Following an offseason that saw him become bigger. stronger and faster. Bailey emerged as one of the better Sabres forwards throughout their disappointing showing at the 2014 NHL Prospects Tournament. 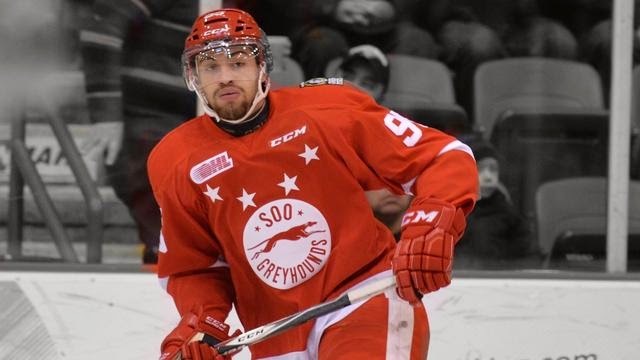 Bailey took the all-around growth back to Kitchener for his third and final year of junior hockey, where a red-hot start not only earned him his first NHL contract, but also caused the front-running Soo Greyhounds to pay a modest ransom for his services at the OHL trade deadline. Bailey began the year in sync with fellow American forward Ryan MacInnis (ARI), leading the Rangers in goals and points and making an all-situations impact before the Soo came calling. He's been more aggressive and assertive, going hard on the forecheck and cutting into open space with the puck to release his quick, heavy shot. He's done a good job learning to how to use his frame and reach to protect the puck in tight and make higher percentage plays. With a set of attributes that cannot be taught, Bailey is doing the right things to keep him moving in the right direction with a jump to the pros on the horizon. He'll likely need a full year of acclimation on the farm, where he'll be counted on to use his size and speed battle through the physical rigors at the next level. If he can add more "teeth" to his game, all the better. He's a prospect who knows what he needs to do to improve and there are plenty of reasons to believe that he'll achieve his career goals. Petersen is a poised, athletic goaltender with good technical skills and sharp reflexes. His improved footwork and tracking skills allow him to arrive square to the shooter, and he's able to snare pucks with a quick glove hand. Just as important, the young backstop has shown that he can handle the pressure in big situations. The size and mobility needed for the next level are clearly in place, so moving forward it's all about generating more power and holding his ground in the face of down low pressure. Some goalies really understand the overall geometry of the position, and Petersen has proven to be one of them as demonstrates good structure to his game when going save-to-save. High goalie IQ is in play. The start of his freshman season saw him ring up victories against lower tier opponents while struggling to maintain an intense competitive edge for a full 60 minutes against more elite programs. The light bulb turned on after the holiday break, with Petersen showing greater consistency and an intense focus for a full 60 minutes to emerge as the team's number one netminder. In February, Petersen took his game to a different level with two Hockey East Defensive Player of the Week awards, a Player of the Week honor, a Rookie of the Week mention, and obvious Goalie of the Month nod. The first weekend of March saw him set an NCAA record with 87 saves in a five-OT loss to Massachusetts. The table is set for the 20-year-old to keep winning big games and prove that he's among the elite NCAA goaltenders. A nice balance of grit and skill, Carrier has the skating game, stocky frame, and battler's mindset to make key plays along the wall and in front of the opposing goal. As is often the case, the first half of his rookie season was used as a period of adaptation, but he's played responsibly in a solid second half, leaving little doubt that good things are on the horizon for the a young forward who plays the game hard, and in coaching speak, correctly. He does an excellent job protecting the puck, so it's only a matter of time when he'll find his range and start making more cuts to the net to pop off his quick shot. Carrier has certainly gotten his chances in a visible role as a pro rookie. After skating with Reinhart and Armia on the Sabres' top line in Traverse City, Carrier began his tour of duty in Rochester alongside Grigorenko and Armia. The numbers have yet to pile up, but he's sticking his backside out along the walls and doing some heavy lifting that brings value not always seen on the score sheet. Expectations will be higher in year two of his entry-level contract. Carrier appears up for the challenge. Ullmark made waves with his stellar play last season en route to earning the Honken Trophy as the SHL's Goalie of the Year, and later a sparkling performance at the Sabres' 2014 Development Camp scrimmage. 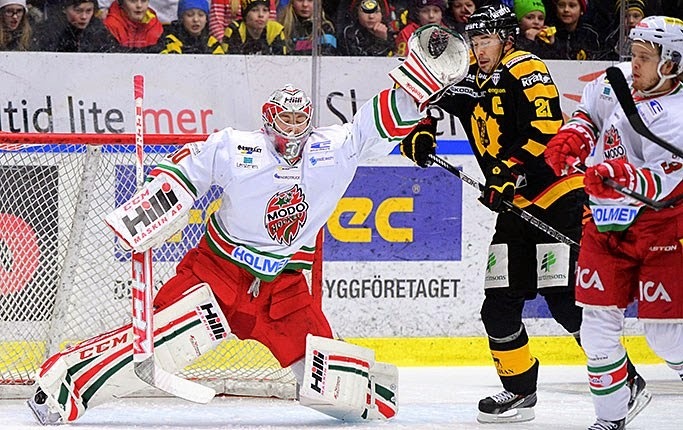 He's shown flashes of brilliance since, but his 2014-15 season was marked by inconsistency and his numbers suffered as the last line of defense for MODO's struggling SHL club. MODO had a different cast than they did a year ago, and Ullmark was forced to be their best player if the team was to win. He came up with some acrobatic saves to elevate his save% after getting into an early season hole, but it's always best to gauge the goals that are let in, and he's still prone to some weak, first-shot efforts. At times, you might think that his glove hand is highlighted on the opposing white board. Ullmark has actually advanced his mechanics since being drafted, but there is still work that needs to be done in the areas of positioning and overplaying. He is still falling on his backside at times when he doesn't need to. Too often he's chasing pucks by diving across the crease. 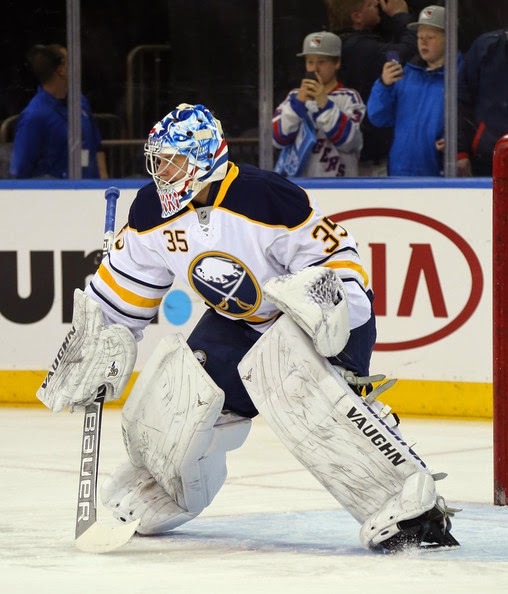 The goalie coaches in Buffalo are going to want to tighten up his game, but there is no question that plenty of promise will arrive with the bulky backstop when he arrives in North America for the 2015-16 season. The first Czech-born player drafted by the Sabres since 2003 (Jan Hejda), Karabacek blends a good set of hands and a strong skating game to present an interesting mix that could develop into a useful two-way checking role by the time he's 23-24 years of age. He'll go north-south to get pucks to the net, and he doesn't back down when challenged physically. After playing the left side in an NHL preseason game, Karabacek returned to his normal right-wing spot in Gatineau alongside a couple of different centermen, battling through quiet patches early until generating momentum with a five-game goal streak in November. Things got a little turbulent from there, though. He overslept for video session to get cut from the Czech Republic's World Junior entry in December. A week later, he was dealt to Baie-Comeau. 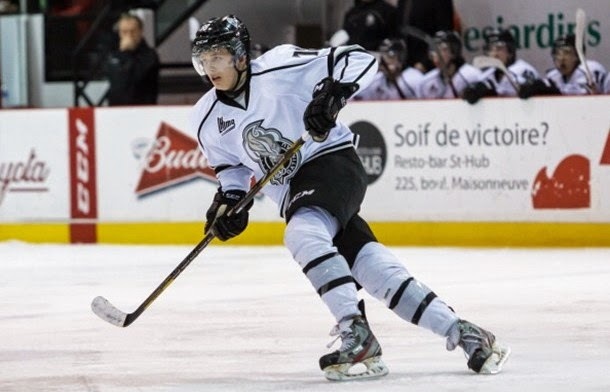 The fresh opportunity resulted in some really strong efforts, but he failed to regain that regular goal-scoring knack in the final month of the regular season, producing fewer shots on goal and a lower points-per-game average than he enjoyed during his time with the Olympiques. While dramatic statistical leaps weren't taken in his first post-draft year, Karabacek still packs plenty of pro potential. Expectations are generally high for a second-round pick, but it may be wise to consider him a player with a solid third-line NHL ceiling. Karabacek will certainly want to develop more consistency with his effort if he wants to achieve his goals. 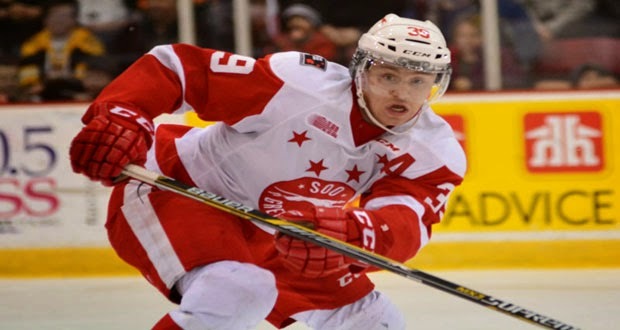 In the short term, he'll be laser focused on World Junior duty in 2016. A speedy, dynamic worker who won't quit on a play, Malone was cut from USA's National Junior Evaluation Camp over the summer despite matching up well with elite U20 competition, setting the stage for a next-level effort as a sophomore. There are no lazy plays in Malone's repertoire, giving the skilled pivot plenty of upside to grow into as he keeps adding mass over the next two calendar years. When he's on his game, Malone has the look of a player that will be considered among the elite NCAA skaters in short order. The West Seneca native missed a large chunk of his second season in Cambridge with an injury, but upon his return made an immediate impact as a stronger, quicker forward. He's very determined when he gets the puck in the middle of the ice, using his vision to hit teammates in stride and his motoring feet to beat defenders on his way to the hole. Harvard has been one of college hockey's biggest surprises, and a healthy, more explosive Malone has made the Crimson an even tougher out. The fact that Malone was a late-round pick means little. His consistent display of skill, will and passion means a lot, putting him firmly in play as a legitimate NHL prospect. 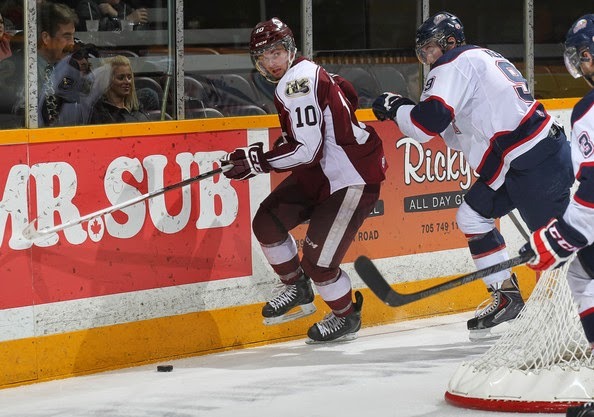 The crafty and agile Cornel was shuffled about the lineup early this season for the struggling Petes, serving as both a right-winger and centerman, at times with Nick Ritchie (ANA) before the power forward's trade to Sault Ste. Marie. After the deadline, Cornel stepped up his game for a brief period of time before the goals ran dry. He'd finish the season with a team-leading 38 assists. Cornel succeeds with shiftiness and vision when possessing the puck. The keys to his development reside in what he does without it. Aside from the obvious need for strength to allow him to power through checks, more use of stops and starts should create better efficiency and positioning. The Petes were quietly disappointed by Cornel's leadership early in the year, but the concerns were cooled as he played with more fire and created more on his own to elevate his overall value. Cornel may lack the top-flight speed that an ideal centerman needs to effectively support defenders and break out of the zone, but his creativity and soft passing skills work well as a scoring line winger. He has clearly responded to coaching with better efforts as the season progressed, so now it's on him to be a consistent, productive commodity when the 2015-16 OHL season gets going. Hurley's skating and playmaking combined with the Sabres' ability to stash him in the college game makes for a compelling prospect. Stashing a prospect does not imply "project" though, as Hurley clearly has the vision and polished stick skills that will only shine brighter as he builds "man strength" into his projectable frame. 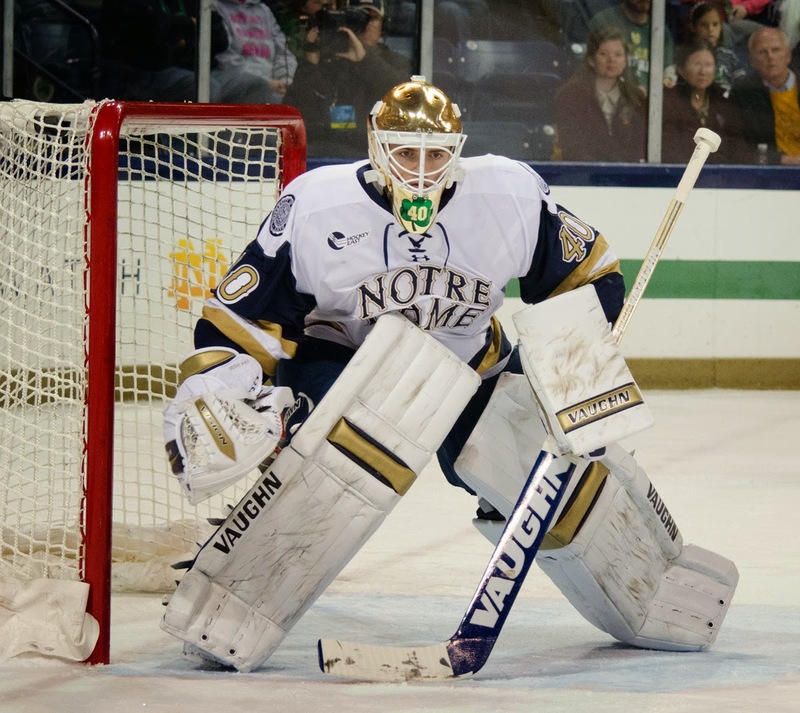 The package as it stands was rewarded with an important role as a Notre Dame freshman on a line with Jake Evans (MTL) and upperclassman Sam Herr. It was a good learning experience with modest offensive returns, and like so many his age, Hurley looked physically over-matched at times against older, top tier opponents. This is where the addition of core strength comes into play. He'll be tougher on the puck, more effective when skating into his checks, and in turn a more confident all-around performer. Hurley's place on the list is relative to his impressive base skills, as they should lead to high-level production now that the first-year rigors are behind him. We didn't get to see him at the 2014 Development Camp, but you can bet he'll be square in the radar come July as he springboards into his sophomore season. 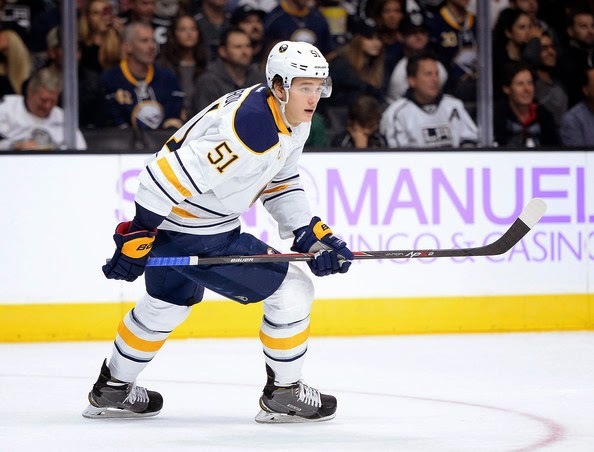 A competitive influx of youth will be rippling into the Sabres' pipeline over the next two seasons, and there's no doubt that the offense must come in order for Hurley to stake a claim in the fleet. It'd be an understatement to say that Johansson has seen his mettle tested with a rough start to the year, but right now the big netminder might be the poster child for patience in development. After a strong showing in Sweden's opening game at USA's National Junior Evaluation Camp in August, the big backstop missed the first month-plus of Brynas' season with a bacterial throat infection. He'd return in late October to split time between the SHL and J20 squads, only to suffer a mid-December injury that forced him out of the 2015 World Junior Championship. 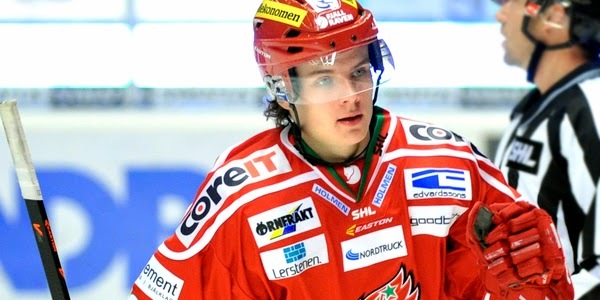 With the junior season winding down, Johansson was sent to Almtuna of Hockey Allsvenskan to finish off the year. He battled hard to win some games and get the club back in playoff contention before losing out on the final day of the regular season. Despite the setbacks, Johansson has the requisite physical tools to take a good run at an NHL job down the road. He stays in the blue paint, using patience to wait shooters out while employing his size and flexibility to seal off the lower shelf. The adversity is what it is, so Johansson just needs to keep his body sharp and remain diligent game-over-game while targeting a North American leap in two years time. A thick, sturdy defender who brings added value on the power play, Florentino's mobility and raw physicality offer a relatively high ceiling once his college days are complete. He's a rock solid specimen for a young player, allowing him to keep his position and not get pushed around when taking on older collegiate forwards. Florentino has grown into a key role as a Providence sophomore, logging big minutes alongside Tom Parisi on the Friars' middle pair before floating between partners for the team's run to the 2015 Frozen Four. Florentino's progression has been marked by physical play and more "off-the-glass-and-out" zone clears with added value on the power play. 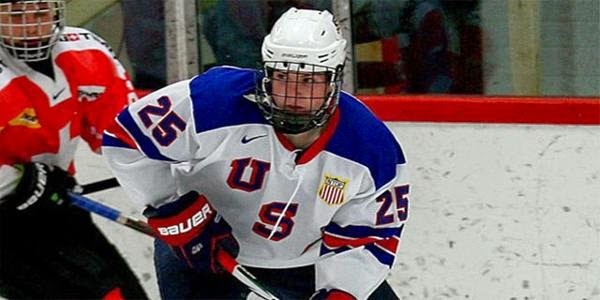 The New England prep product participated in USA Hockey's 2014 National Junior Evaluation Camp, surviving the initial wave of cuts with his crisp passing and tough own-zone play. He needed to have a big first half to get the December camp invite, but didn't stand out enough as others in his peer group shot out of the gates. Still, time is on his side and there's a firm belief that the Massachusetts native can become a solid pro once he finishes his time in Hockey East. Sometimes in sports, a change in scenery really does make a world of difference. 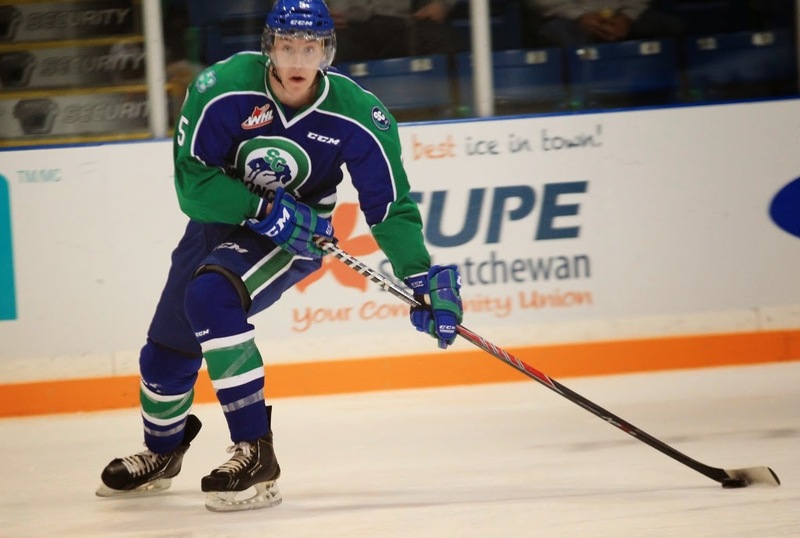 Such has been the case with Martin, who saw himself passed on the depth chart in Swift Current before enjoying a re-birth of sorts following a January trade to the re-building Blades. The strong-skating Martin stays within himself, applying his mobility in all-situations at the junior level. He shows comfort legging the puck out of the zone and jumping into an open lane, and does a good job getting low shots through from the point. He doesn't play with a ton of flash, nor does he fumble in the face of pressure. Martin will get one more year in junior to grow his game before looking to make a pro leap in 2016-17. Between now and then you want to see both a greater offensive presence and increased physical dominance. He's dependable and reliable, be it sticking to his check and going down to one knee to seal off a shooting lane, so showing up and playing mistake free-hockey should help make a solid transference to the next level. Catenacci has had to battle hard for a regular offensive role at the AHL level through his first two professional seasons. 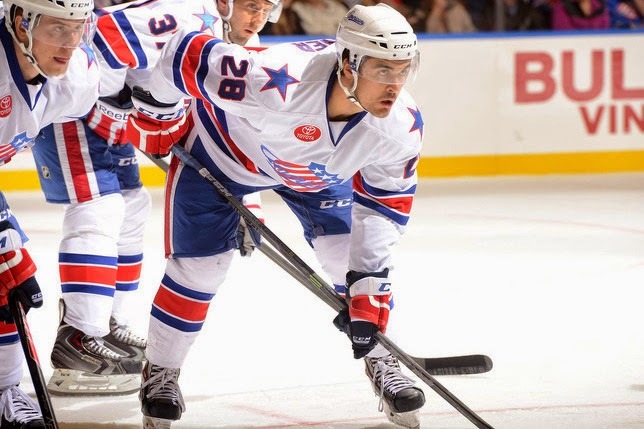 Progress was made in January 2015, when he took a scoring line role and ran with it, showing an improved spark and a regular edge for an often-decimated Amerks lineup. The upped production was good to see, but he'll need to keep working on the finer details in order to maintain the bigger minutes moving forward. Catenacci's game is built on speed, and that gift must be leveraged with and without the puck to achieve his max potential. He can move in transition down the wing, and he can turn on a dime to find more space and gain an opportunity to use his linemates. His light feet brought him fore-checking versatility with the Amerks as a fourth-line checker alongside Matt Ellis, but that isn't why the Sabres signed him out of the OHL. Catenacci's NHL hopes remain alive as he looks to work his way into more offensive opportunities, but with greater urgency will come greater opportunity. The plan is to continue learning and earning the minutes to make a more regular impact in the third and final year of his entry-level deal. A scoring line winger in Sweden's top league, Possler is a Jason Pominville-esque shooter who works hard to bring out the best of his opportunistic tendencies. He's smart when finding space and anticipating where the puck is heading. He battles for position with his stick on the ice, and he's adept at tips and redirects. His working mentality also makes him an efficient penalty killer. With a solid foundation in place, Possler's main challenge is his on-going adjustment following a season-ending knee injury in December 2013. The Swedish scorer was on course for a big campaign at the time of his surgery, posting eight goals in his first dozen games to emerge as one of the biggest post-draft surprises. He returned in 2014-15 after a long rehabilitation process with mixed results on a bad MODO squad. Possler earned a fair workload that saw him consistently unload shots, but he couldn't sustain any hot streaks while doing so. He ended the season with a 15-game goal drought. Possler may spend another season with MODO before considering a jump across the pond. He doesn't need to reinvent himself, as the Sabres are simply hoping that he gets his mojo back - be it as a left-winger or as a finisher down his off-wing. The 2015 offseason could be a key driver towards determining when Possler can successfully launch a North American career. It seems like one of those situations where a full summer of weigh training will go a long way for his confidence with and without the puck. Makarov has been an interesting study over the past few seasons. Well established as a goalie who can rise to the level of his competition, Makarov's athletic, somewhat unorthodox style and flashy glove have seen him put together dominant stretches going back to his WHL days. He likes to handle the puck, which is refreshing for a Sabres organization that hasn't had that quality in net in quite some time, and he's tough to beat when he's on his game. At the end of the day, though, you need to stop the pucks that you see and remain in position for follow-ups, and he has yet to display the game-over-game consistency required to win the starting job on the farm. He'll look poised and confident for a patch of games, but then lapse into moments of over-playing side-to-side action and allowing first shots past him. Such is life when managing goaltending prospects, as mental focus is a key separator of talent. Makarov's eyebrow-raising performances at the 2012 and 2013 World Junior Championships are long in the rear-view mirror. Year two of his entry-level contract has seen him come up with big saves here and there, and while there is a good foundation in place that should eventually lead to more opportunities, there is still work to be done to eliminate the bad goals. Makarov is like most goalies in that he likes to play a lot, but time is ticking away as he fights to earn that right. When he's good he's great, and that's what makes him a somewhat compelling story entering a contract year in 2015-16. The pro rookie has spent the majority of his rookie year grinding it out in the Coast league, where he enjoyed quality minutes adapting to the elevated decision-making pace, all the while keeping his eye on a future role as a tough, checking line role player. He's smart defensively with a simple offensive game, and he doesn't over-handle the puck when he gets it. Opting to throw the puck deep and get his feet motoring on the forecheck will continue to be his best plays. He was an unsung hero type during his OHL days who'd take key draws, slide to block shots, and grind down the opposition's top forwards. He seems to carving out a similar role as a pro, and the Sabres will give him two more seasons of his entry-level deal to master the craft. Shortly following a stay at Winnipeg Jets training camp, the gritty, defensive forward earned a free agent contract from the Sabres, placing him in the same pool with names like Schaller and Kea as tough workers with a hard-driving skating game who can kill penalties and provide some push back. A classic case of leading by example, Dupuy plays the game hard with an edge. He'll chip it and go get get it, kick it back to the point and crash the net. He can play a two-way role at the junior level, as evidenced by his career high offensive totals in 2014-15, but there's no doubt that Dupuy will be relied upon as a shutdown ditch digger with a team-first attitude when he enters the pro ranks, He'll help get skill players room to operate, defend his teammates, and whatever else it'll take to win. Staying injury-free through his first tour of professional duty could see this natural worker force his way into the new core as a checking-line anchor. 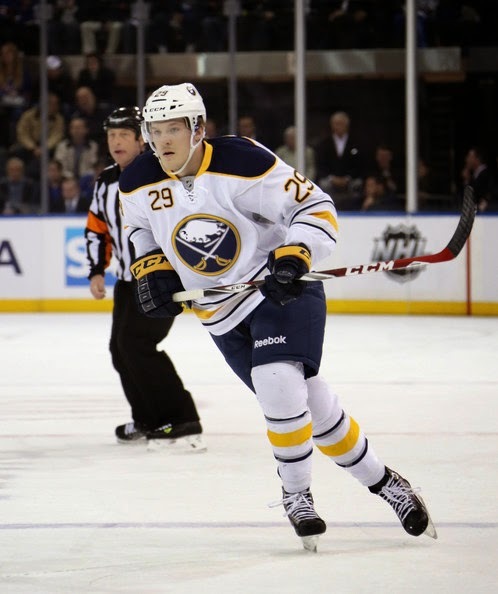 A speedy trigger man and power-play specialist, Olofsson has plenty of time to round out his two-way game while the Sabres sort out an abundance of talented forward prospects. For now, he'll continue to play the point on the power play and be a go-to shootout option as struggling MODO looks for bounce-back season in 2015-16. Olofsson started the year with the top club, easing his way into the lineup with guarded even-strength minutes before emerging as a productive option midway through the season for the renowned hockey factory. His steady first-half ramp-up earned him a role on Sweden's National Junior Team for the 2015 World Junior Championship where he produced one assist in seven tournament tilts. 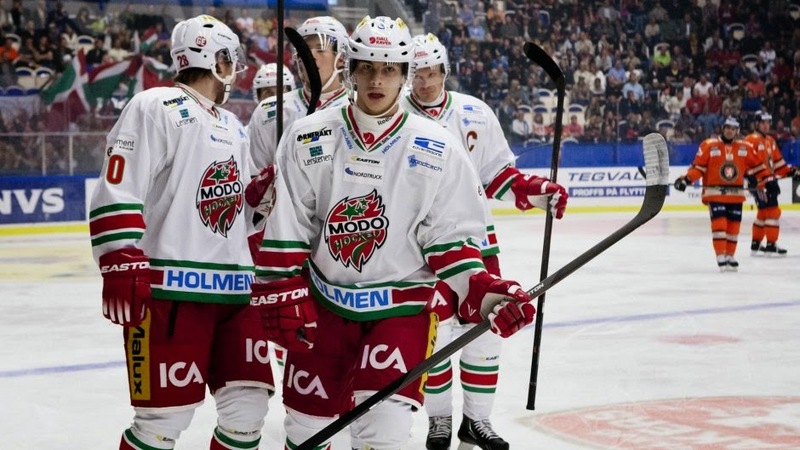 He was loaned to Timra IK of Hockey Allsvenskan following the tournament before finishing the year with a flurry on MODO's J20 squad. Despite bouncing around at the end of the season, Olofsson's 10 goals were third-most among all of MODO's SHL skaters. The MODO product has risen through the ranks with a a blistering slap shot and bullet wrister. It's all about adding strength moving forward, as there were times that he, despite showing the right competitive attitude, was too easily knocked off the puck. He'll need to earn the workload required to develop his three-zone play. "Man strength" will help get him there. Brown's transfer from the Michigan high school ranks to the Junior "A" level has been a success, with the Boston College commit emerging as Green Bay's leading scorer in his rookie USHL season before a late-February trade to playoff contender Tri-City. The Gamblers power play was among the worst in the league, but Brown's line with high school linemate Sam Miletic (Michigan) and Ryan Tait (Providence) carried the even-strength load to keep the over-matched Gamblers in the hunt before falling off in 2015. There is creative upside in play, and you can see that his bloodlines have given him the building blocks for a 200-foot game. Brown’s father Doug is a veteran of over 800 NHL games and his older brother Patrick made his big league debut earlier this season. He's a long way off in terms of making a pro splash, and he hit a serious wall late in the year with a lengthy goal drought, but the gears are turning as Brown becomes a complete player before testing his skills in the competitive Hockey East. The mobile defender continues to grind away in his role as a minor league depth player and occasional power play specialist. Leduc got a different look at the game earlier this season when he plugged some minutes as a right-winger as the Amerks battled the injury bug, and the experience paid off with improved play. He may still need to find his true defensive range against big, strong forwards, but you can see a firmer base with improved strength and skating since his arrival in Rochester. With the later stages of his entry-level deal offering flashes of the offensive potential that got him drafted, it will be interesting to see if the light stays on moving forward. It will be just as interesting to see if he can slip into the plan on an AHL contract. His experience could help a Sabres club looking to amass organizational depth, but he'll need to force the issue with a strong closing kick to maintain his spot. Arriving in the Sabres organization with Evander Kane and Zach Bogosian as part of the February blockbuster deal, Kasdorf is a big goalie who relies on his size to take away shooting angles. He is sharp in his post-to-post movement, but he isn't classified as overly athletic. At this point, he is another lottery ticket in the Sabres' goaltending derby, and that's not a bad thing. The 22-year-old Kasdorf stormed onto the NCAA scene as a freshman in 2012-13, going 14-5-2 en route to finishing second among all ECAC goaltenders with a 1.62 GAA and .935 save% to earn the league's Rookie of the Year honor. He'd get a medical redshirt as sophomore after undergoing shoulder surgery, and the results have been mixed since then. The potential is there for the long-limbed stopper to carve out a career as a depth performer. He has two more years of NCAA eligibility to make ti happen. Lieuwen put together an excellent second half to his 2013-14 campaign, winning the Amerks starting gig to finish among the top 10 AHL goaltenders in goals against average and save percentage before suffering a concussion during his recall to Buffalo. The concussion lingered into a rough patch to start 2014-15, and while the team in front of him could always be tighter defensively, lack of focus when tracking and funky rebounds plagued Lieuwen during a challenging start before shutting it down in January. The setbacks do not detract from the fact that Lieuwen has done a nice job developing into a serviceable professional goaltender over the course of his entry-level contract. His long limbs and athleticism remain the cornerstones of his game, and he's become much more composed with his positioning, resulting in more pucks hitting his body compared to his days in Kootenay. At this stage of his development, he needs to simply needs to get healthy and steal some AHL games to re-gain faith and prove that he's a viable NHL candidate. A mobile stay-at-home rearguard, Austin is settling into an organizational depth role. He was drafted as a bit of a long-range project, with the expectation being that he'll adjust to the pro pace and up his physical play throughout his entry-level contract, all the while continuing to use his size and reach to shutdown his half of the ice. The compelling thing about Austin is that he could be very good once his "man strength" comes to the forefront of his game. He can get from A to B in his own zone well and can zip a stretch pass, so using that extra physical advantage will only assist in his confidence and steadiness. With past experience as a winger in his junior days, you have to wonder if the Sabres tap into that versatility at some point down the line much like they have in the past with Leduc, Brennan, Persson and Schiestel. For now, though, Austin needs to keep it simple and maintain good gap control against speedy pro forwards and go from there. Peterson is executing in a middle line role as a 21-year-old freshman with a well-balanced Huskies squad. A Minnesota high school product by way of the USHL, Peterson is an honest battler who produces with speed and a quick wrist shot. Early glimpses as a collegian have seen the energetic forward play a responsible two-way style with an ability to lower his shoulder for a wide net drive. Peterson is considered a wildcard moving forward in that he can play three more years and be evaluated for a two-year contract at 24 years of age if he develops into a dominant NCAA forward. A skilled winger with an equally strong work ethic, Willman represents dark horse depth potential with his determination, touch with the puck, and willingness to battle all over the ice. The freshman forward immediately embraced a primary role in the Brown attack, but slid into a spot on the blue-line to start the second half as the banged-up Bears battled the injury bug. There's still a lot of work to do in order for the character forward to take the next steps, but for now earning quality minutes is all you really want to see from a fifth-round draft pick as he sinks his teeth into a collegiate career. It's certainly better than giving up the game altogether, which was a thought pondered by William before getting drafted as a 19-year-old. With the WHL product shuttling between Rochester and Elmira in the final year of his entry-level contract, Sundher has yet to sustain a consistent level of production as a pro. His foot speed keeps him in plays, but it's an issue of elevating his three-zone impact moving forward. A mid-year ear infection didn't help his cause, as a tough road may have gotten a bit longer for the former junior scorer with a new group of forwards set to hit Rochester in 2015-16. 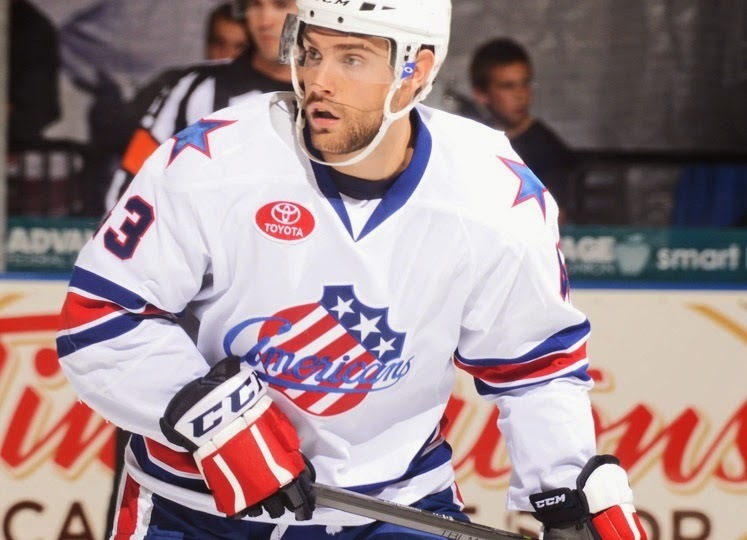 A journeyman junior player who worked his tail off to get a pro deal, Nevins had both made a mark and left a mark as an energetic scrapper as an AHL rookie with 12 fighting majors in his first 32 games. He isn't going to be relied upon to light up the scoreboard, but you need guys like him to protect the the farm, and by all accounts, that's what he'll do. Nevins arrived in Buffalo at the 2015 NHL trade deadline along with a seventh round from Montreal in exchange for Torrey Mitchell. For now his future appears to be a scrappy depth winger who'll help get space for the developing youth, but if there's one thing that we've learned in years of covering prospects, it's to never count out a young player who had to battle to earn a role at virtually every level they've played at, even if it takes them years to achieve their ultimate goal. Jacobs has stood out with back-to-back physical performances in Traverse City, but just like he did in his junior days, has battled the injury bug while trying to gain professional momentum. The Texas native is best classified as a hard-driving battler with an edgy side to his game. He put a lot of work in during the 2014 offseason, but the plan has yet to come together. There is room for him to grow into a faceoff and shootout specialist at the AHL level, so for now he needs to round things out and build a consistent coast league resume to be ready when and if the opportunity arrives. After three years of inconsistent ice time, the senior forward has finally settled into a checking line role at the collegiate level with the always-competitive Gophers. The odd point will come Isackson's way as he closes out his collegiate career, but we shouldn't expect too many like the highlight reel backhander that made the SportsCenter Top 10 back in January 2013. Still, he has brought experienced forward depth in his senior season, along with an ability to spark his team with improved decision making and the odd hit. A late-round lottery ticket after averaging over two goals a game as a Wisconsin high schooler, Navin was unable to carry the offense into his stay at the D1 level. The grinding winger wrapped up his collegiate career as a co-captain for a young Badgers squad, sharing the experience of his 100+ games for group that includes 11 freshmen. When all was said and done, Navin was a quality leader and penalty killer who worked hard on a nightly basis. A fifth-year senior for the surging Friars program, Adams played out his career as a shot-blocking mentor and stay-at-home partner for wheeling freshman Jake Walman (STL). 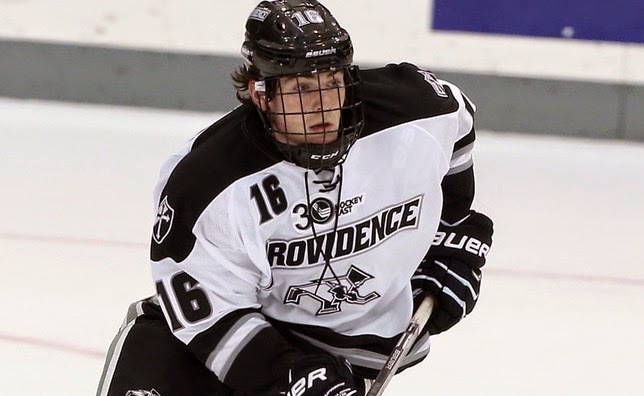 Injuries derailed the Massachusetts native since his arrival in Hockey East, but despite the limited reps, he was relied on to plug a key role over the course of his senior year as his time as a Friar concluded.